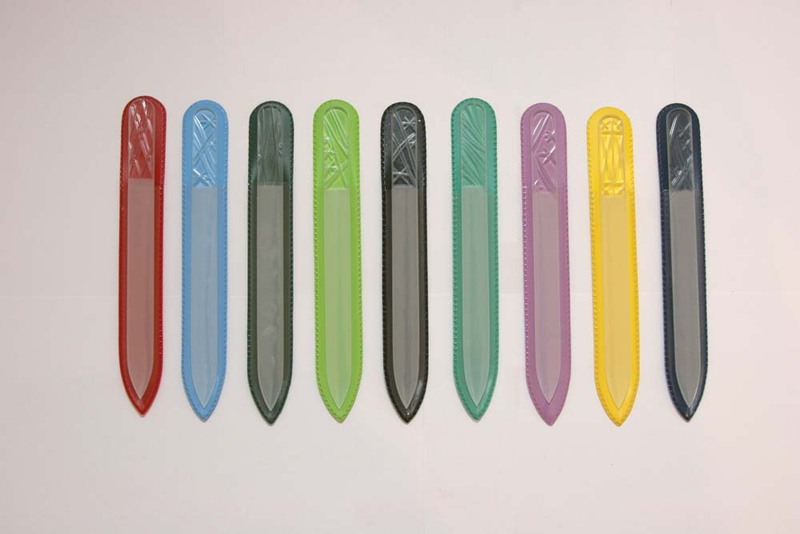 Different types of crystal glass nail files are showed on this page. The only common element is Swarovski crystals used in decoration. Some files are available in all three standard sizes. 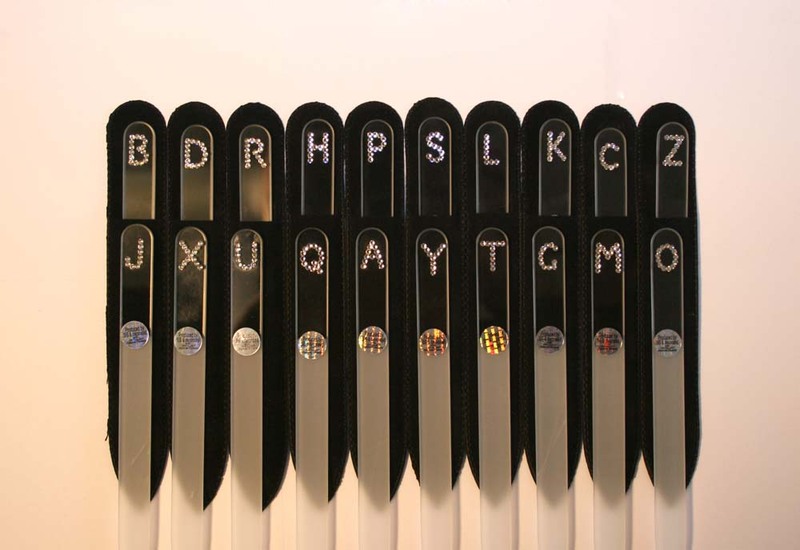 Letters/Alphabet/Initials/ABCs are crystal glass nail files with Swarovski crystals inlayed in the shape of Latin alphabet (as on the photos below). Available on small, medium and big sized nail files and supplied in velvet pouches. 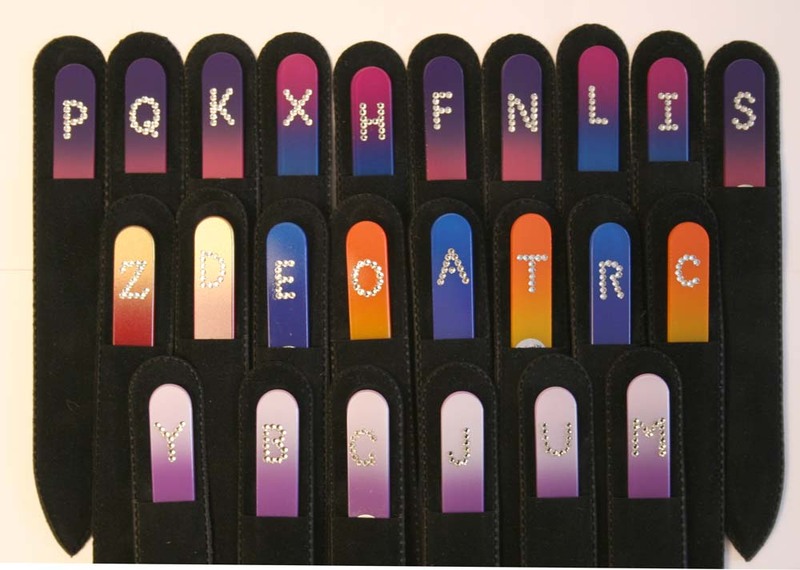 These nail files are made on order; a combination of letters or other Alphabets can be made on request. Foot - a large glass nail file, that is suitable for manicure and pedicure. It is 195mm/7.68 inches long and has 3mm/0.12 inches thickness. The glass nail file has a sandblasting decoration on it in the form of a footstep. The accomplishing element is the Swarovski crystals. Other foot nail files can be seen on this page. Silver Zodiac – crystal glass nail files beautified with a silver zodiac symbol and two crystals from SWAROVSKI® ELEMENTS. 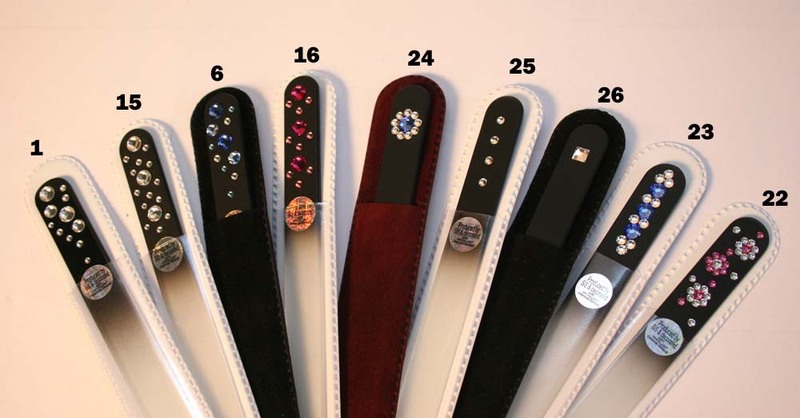 Silver Zodiac crystal nail files come in velvet sleeves and are available on 135mm/5.31 inches long crystal nail files. 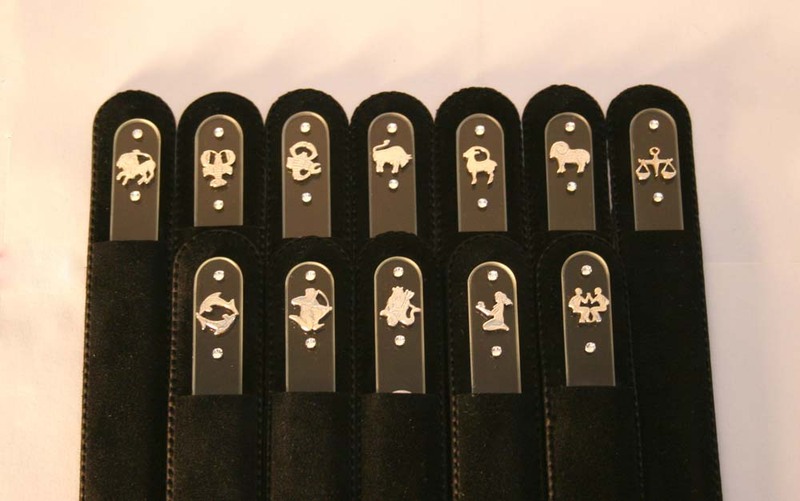 Other Zodiac crystal nail files – it’s also possible to decorate the nail file with one of twelve zodiac symbols by using printing or sandblasting technology. 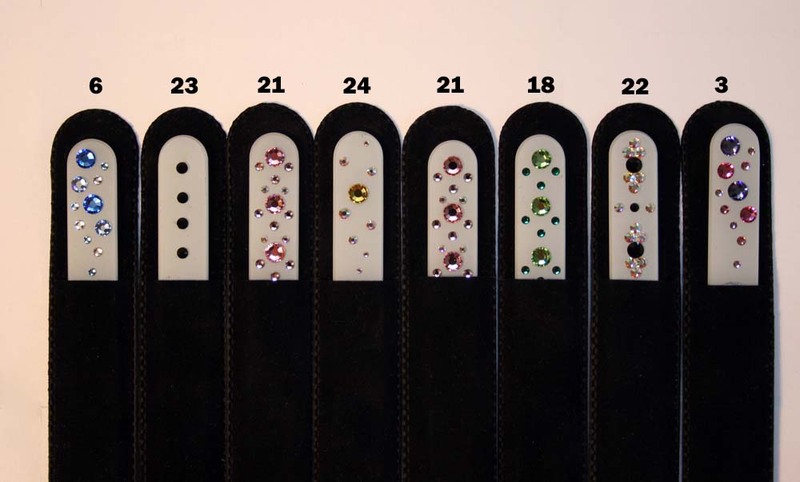 We can pack them in PVC or velvet cases; use any nail file size; and add Swarovski crystals. We can make other custom made glass nail files. Cutting – crystal glass nail files have 135mm/5.31 inches length and 3mm/0.12 inches thickness. 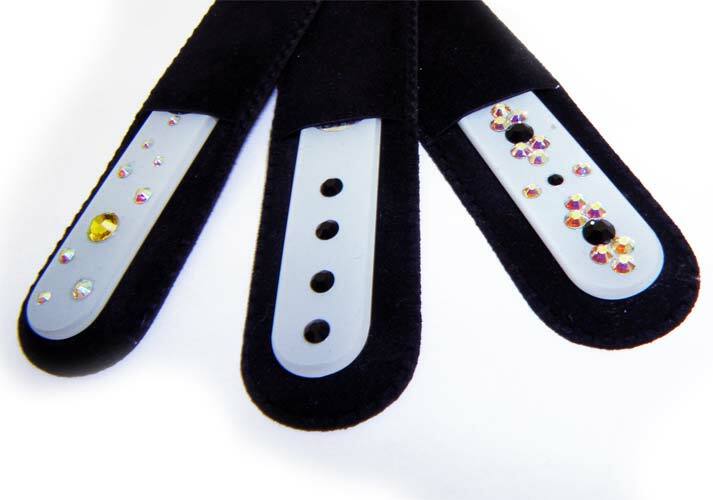 3mm thickness is used due to the method of decoration used on these crystal nail files, known also as ground fitting (grinding). The grinding is widely used in Bohemian glass and crystal decoration, and considered to be one of the earliest ways of decoration the glass. Basically it’s the most popular way of decoration bohemian glass. 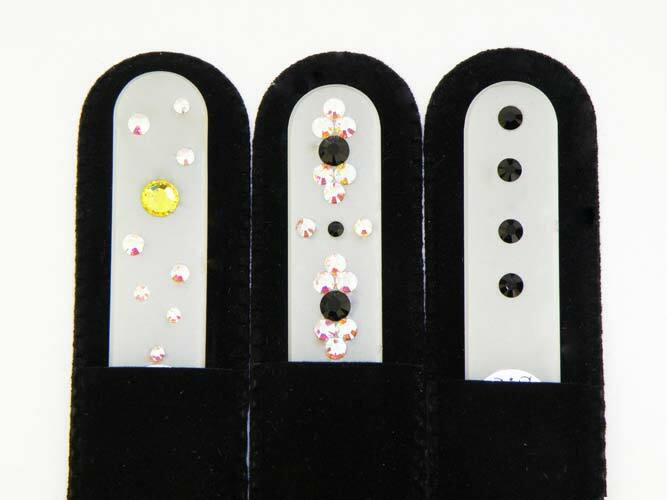 Black and White colour crystal nail files hand decorated with Swarovski crystals. 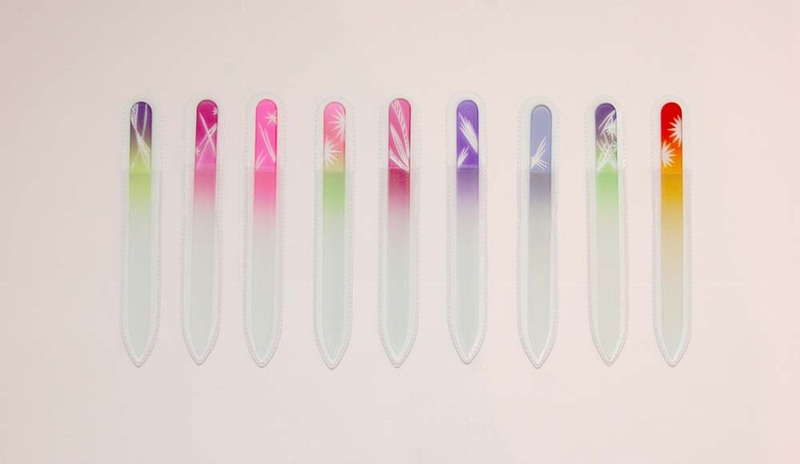 Selected designs are available on 90mm/3.54 inches and 135mm/5.31 inches long crystal glass nail files and supplied in velvet pouches. 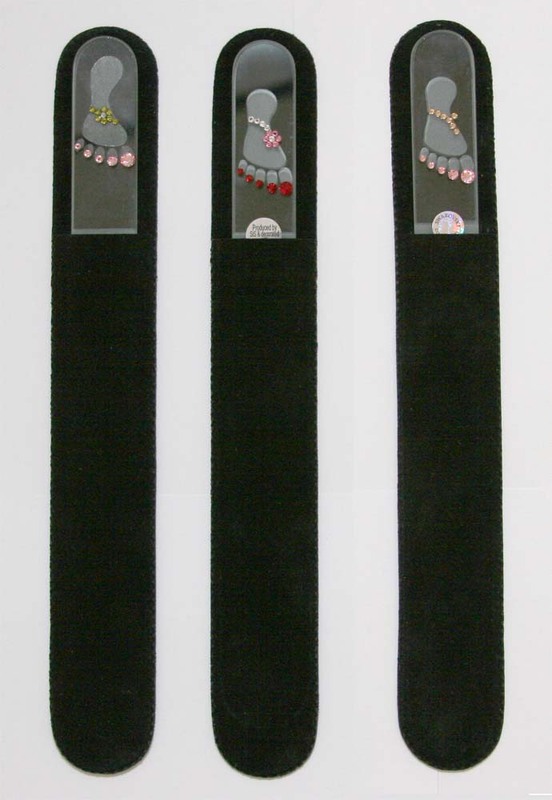 Mix of black and white crystal glass nail files will look very classy on one display stand, and can suit many retailers. 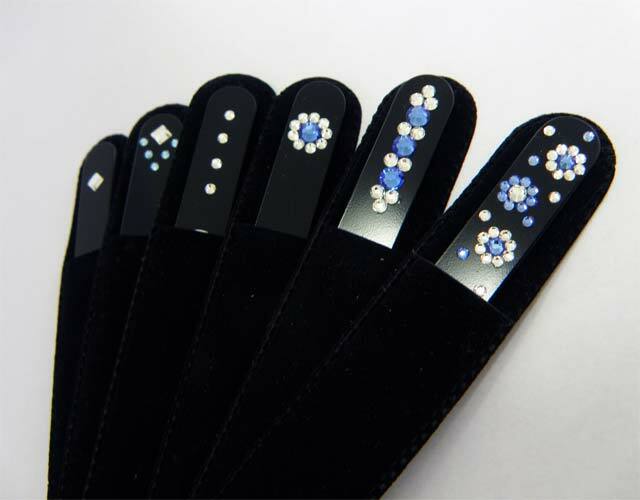 More black and white nail files can be seen on Luxury designs page, more nail files with Swarovski crystals can be seen on Limited Edition and Simple designs pages. 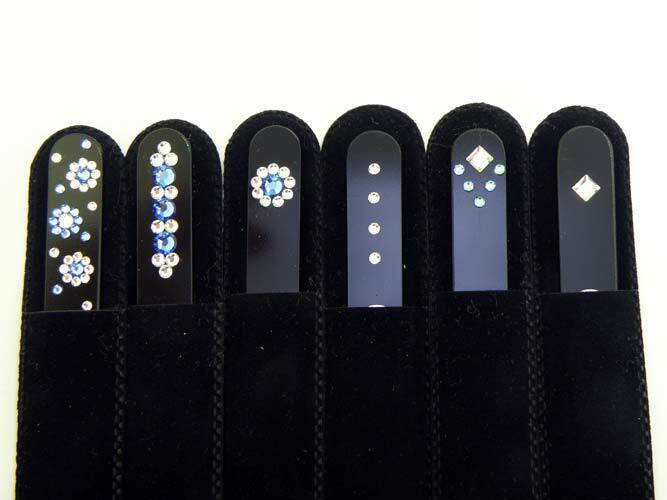 For more glass nail files decorated with Swarovski crystals please visit Exclusive group. For plain, professional and color nail files check out our Classic group. Where and how to buy? If you interested in buying one or several types of files wholesale please contact us, to buy them for yourself visit our e-shop.